Water heater leaving you out in the cold? A tankless might be the answer! 1) Do you have a large family and/or often run out of hot water? If you've got four or more people who like to take showers or baths every day, then you've also got plenty of dishes and clothes to wash too, so you're using a ton of hot water and probably running out often. Large families need a tankless water heater because it heats water ON DEMAND. Regular water heaters heat a few dozen gallons of water and when it's gone, it takes a while to heat more, leaving you out in the cold. 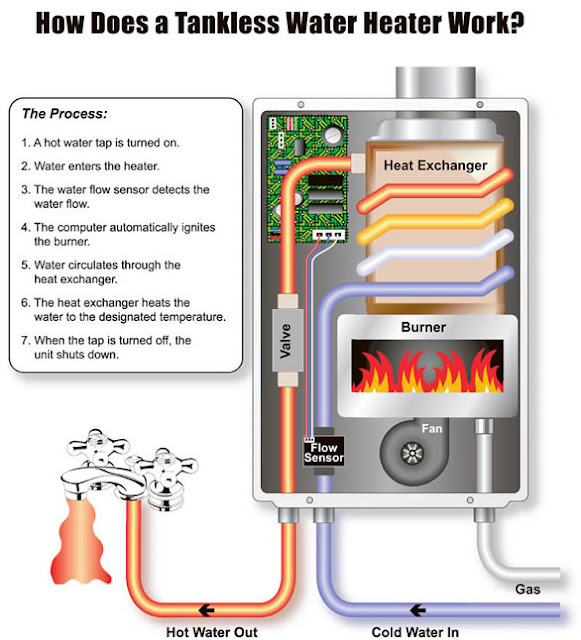 With a tankless, special coils heat the water at the time you need it, so you never run out! No more staggering showers for family members and scheduling when to run the washer. 2) Do you have a bulky heater in a small space? Regular, tanked water heaters take up a lot of room in a small house, often squatting in a big chunk of floor, closet, or attic space. Tankless heaters are smaller and last up to ten years longer than a conventional heater. Your tankless will be mounted on a wall, inside or outside, freeing up space for storage. 3) Do you want to save energy and money? Tankless water heaters are more energy efficient than regular water heaters since you don't have to pay to keep the heated water constantly hot. You're also not losing heat that's idly sitting in a tank that, while insulated, is still going to lose heat and require constant reheating. 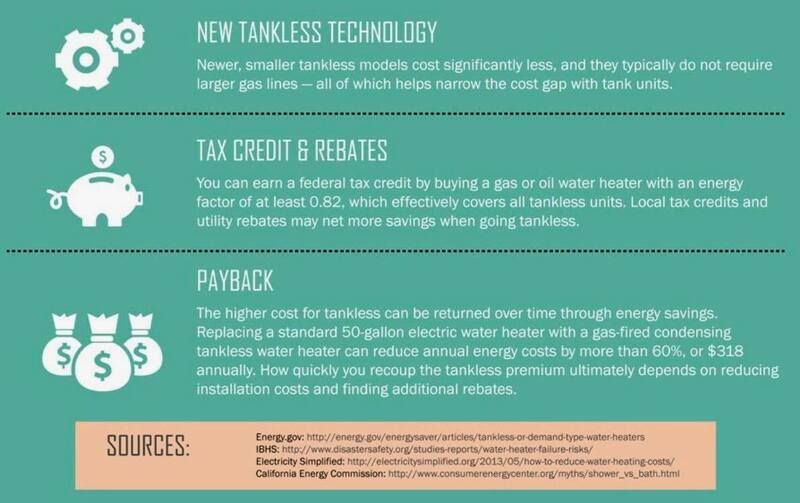 There are also tax credits and rebates you can earn by going tankless. Check it out below. All of this will save you money every year! 4) Do you worry about your water heater leaking and destroying your flooring, walls, and ceiling, plus causing black mold? That's a valid concern, tanked water heaters leak all the time, often causing mold and water damage issues for the homeowner. Since water isn't stored in the unit, but rather heated fresh on demand, there is little reason to worry about a tankless heater leaking and/or causing a mold issue. You can rest easy and breathe freely. 5) Are you tired of repairing or replacing your heater after your 6-year warranty runs out? 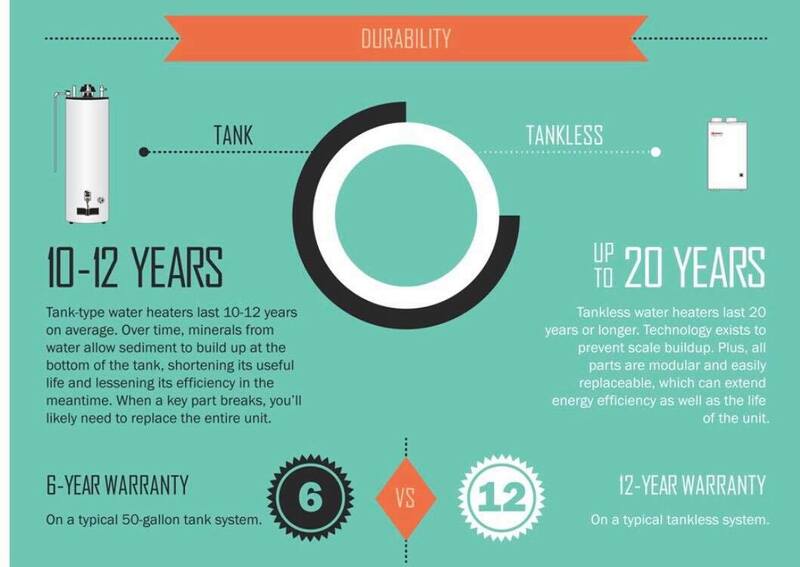 Navien tankless water heaters actually offer a 15 YEAR warranty on the heat exchangers. That's even more than the 12 years quoted in the infographic below. And for sure, that's a lot longer than a tanked water heater warranty, which hovers around six years. Tankless heaters do incur a higher up-front cost to install, but they save you money in gas heating every year, and last twice as long, with a longer warranty. Keep in mind that if you have hard water, you need to get a softener, as hard water is very bad for tankless heaters. And just like a tanked heater, you'll need to flush your tankless every year to keep it working nicely. 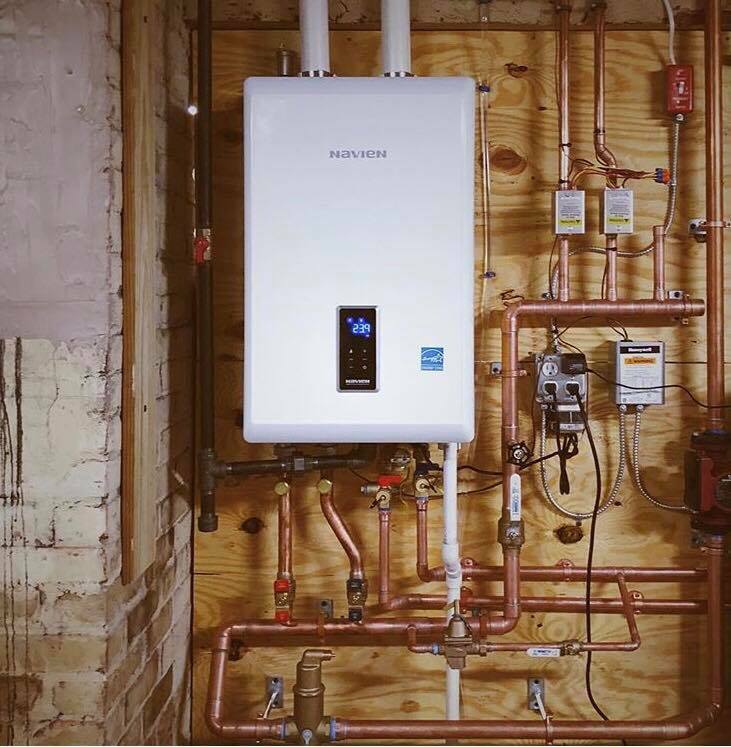 If you're still not sure if a tankless is right for you, call us for an estimate and to discuss - our Master Plumber will walk you through it! Call 512-786-1771. 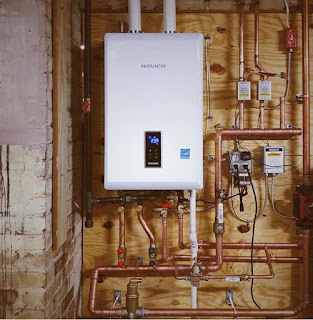 *A Note about Brands: Our Master Plumber is certified through the Navien company to install AND repair Navien gas tankless water heaters, so we install this brand exclusively and thus require your house to have a gas hookup. He is also certified through the company to repair Navien tankless heaters, so you will always know who to call in the unlikely event your Navien breaks down sometime in the future. These tips are kinda useful.Heating and Cooling Mississauga Some people tends to call technicians just before watching for themselves. Heater maintenance must be taken out carefully.Heating and Cooling Ottawa As your home indoor quality totally depend on that.